Windows can make or break a house. It’s kind of a like a really nice car, great paint, plush interior and old rusty mismatched wheels. Life is in the details and when it comes to your house, windows are a big detail. Sure you could spend a fortune on new windows but what if you like the look of your windows, or you live in an older house that you don’t want newer windows that wouldn’t go along with the look of the house itself. It’s a fact of life that things get old and start to fall apart. The same goes for windows. Glass can get faded; the sash can age and let the window rattle, not to mention the glass itself can get broken. 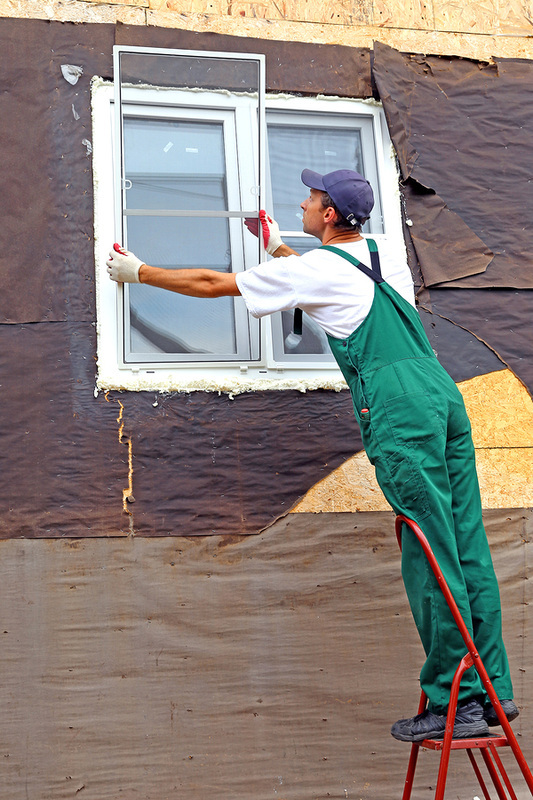 All of these problems can be a big job for the average handyman but we have good news, call us at Michiana Paint and can come in and assess the problem and figure out what is best for you and your windows. When you have a window that rattles, it can drive you crazy, not only that you can have air coming in and that will make your heating bill skyrocket. Thankfully we at Michiana Paint can take care of that problem with minimal work and time. The culprit is usually a faulty sash. The sash is the part of the window that actually holds the window in place. Over the years the wood crumbles and allows the window to move back and forth. Replacing the sash is the only way you’ll get your window to sit correctly. Glazing is a part of the process that holds the window in place. The glaze can crumble and crack over time and needs to be replaced. More than likely, if you’re having trouble with your windows, you’ll probably need to remove the old glaze and start over. It’s easier than working with new material than old. We can do that with no problem and get in and out with minimal time and for minimal money. Every old window gets really hard sometimes to slide up and down. It can be frustrating and occasionally be caused by something the window track. When we come in to inspect the window, we will also make sure everything is in operating order. So no more stuck windows and having to beat on it to get it to open. Painting the sash and glazing can extend the life of your window, not to mention it will look better also. You can also color match to the rest of the room or make it an accent color to bring out your main color, doing this will brighten up the room while doing the repair. All of these things will make your windows better than new. They will slide up and down much better and be a lot better on your heating bills. We here at Michiana Paint can all this and more to make your life and home better to live in.